When people consider buying a vacation home, they are looking for a nice, quiet, comfortable place to get away from the daily stresses of reality, usually in a warmer climate. These are the places where people want to relax when they’re able to get away from the hassle of their daily lives, a place where they can let it all go and clear their mind. For those considering buying a vacation home, today’s increasingly strong housing market provides a great opportunity. While the housing markets in some areas are stronger than others, it’s important to choose a location that you will both enjoy spending your vacation time and where you will be able to get good resale value for your home, should you ever decide to sell it. So, the question is: What city should you buy a vacation home in? Alabama’s Gulf Shores are home to over 32 miles of beautiful white sand beaches. Locals also love participating in a variety of activities including golfing on the local courses, hiking on the beautiful local nature trails, and enjoying water sports along the beautiful sandy beaches of the Gulf Coast. Moreover, these can become lucrative rentals when you are not using the property as the average property will bring in over $16,500 in extra income for the owner renting out the property throughout the course of the year. Lake Havasu City is known as the “playground” of Arizona. Lake Havasu City consists of over 400 miles of shoreline and over 60 waterways. This makes Lake Havasu City one of Arizona’s top destinations for outdoor activities like boating, hiking, biking, water sports, fishing, and golfing. Also, another great perk is that when you are not at your vacation home in Lake Havasu City, you can expect to earn about $15,800 in rental income off the average vacation home in the area. Hot Springs is one of the most affordable vacation destinations on our list for 2018 with a median home price of just over $117,000. Hot Springs is known for its thermal waters and is a popular spa destination for tourists from across the United States. You can expect to make over $11,000 per year renting out your vacation home in Hot Springs, which provides one of the best returns on your investment at over 10% on an annual basis. Palm Springs is a beautiful Southern California city located in a dry climate and sees approximately 360 days of sunshine every single year! It’s a great area for people who love to be entertained as it has countless downtown restaurants and shops as well as many venues for entertainment. Renting out your vacation home here will provide the highest annual dollar-values in revenue of our entire list at over $25,000 annually, making this not only a great place to vacation but a solid property investment as well. New Orleans attracts thousands of tourists and visitors on an annual basis as they partake in many different local traditions. Some of these tourists come to partake in events such as haunted tours, jazz festivals (and to go visit the local jazz clubs), to visit the city’s historic areas, enjoy local restaurants, soak up city culture, and more. 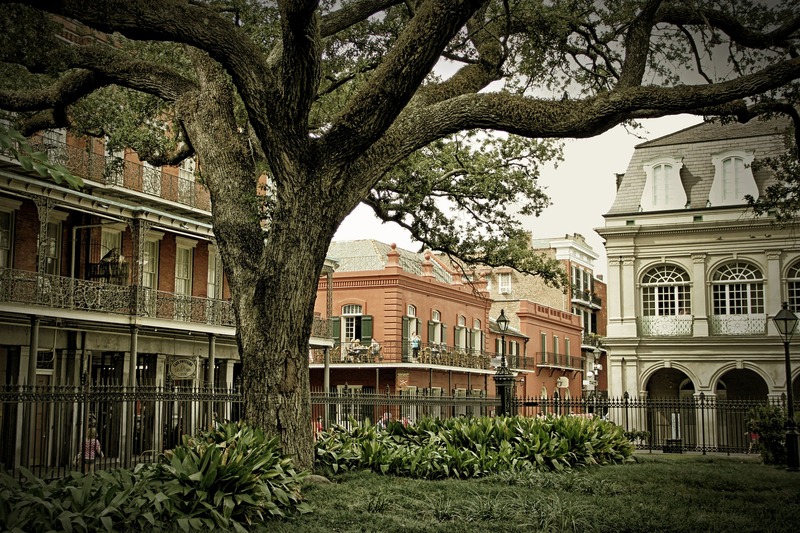 Anyone who owns a vacation rental in the New Orleans can expect an average of about a $16,500 return on their investment on an annual basis. These are just a few of the top cities in the US where vacation rentals are paying off big time. As the real estate market heats up now is a great time to consider purchasing a vacation home. Not only will it be a great place to get away from the stresses of your daily life, but it can make a handsome income for your family on the side when you are not using the property to vacation yourselves. If you’re ready to take the first step towards buying your vacation home, click here to start the process!